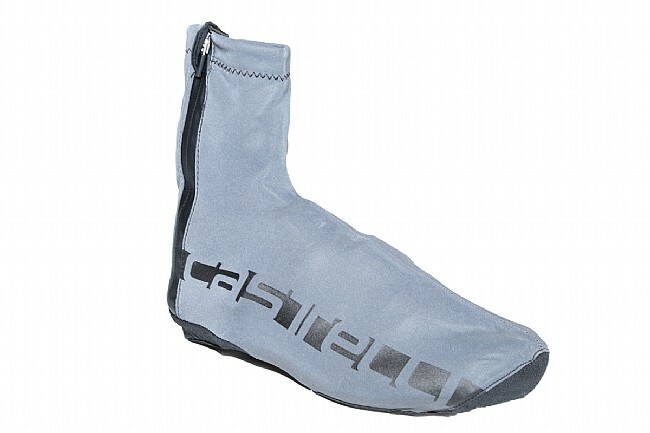 Castelli's Reflex Shoecover is covered in reflective fabric for visibility you can't miss. 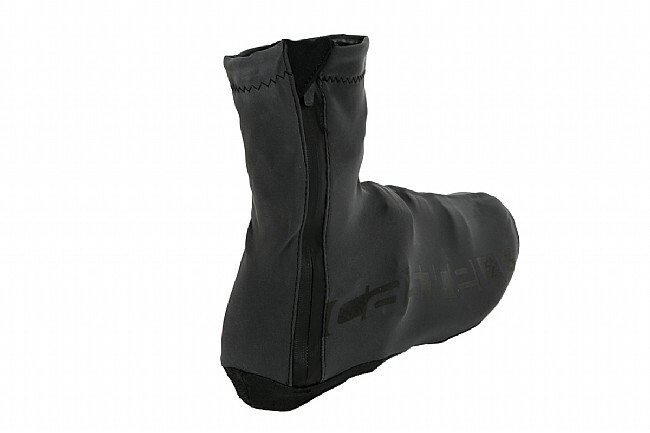 The high-stretch material is also waterproof and windproof, with an ultra-light waterproof zipper, neoprene cuff, and sealed seams for thorough protection from the elements. 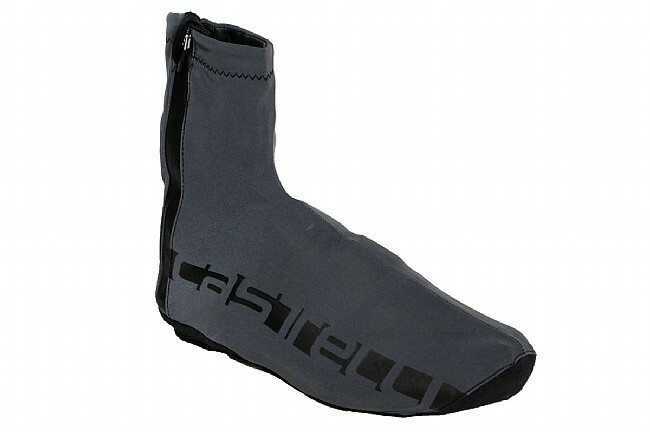 On the bottom, a Cordura sole adds excellent wear-resistance for enhanced longevity.